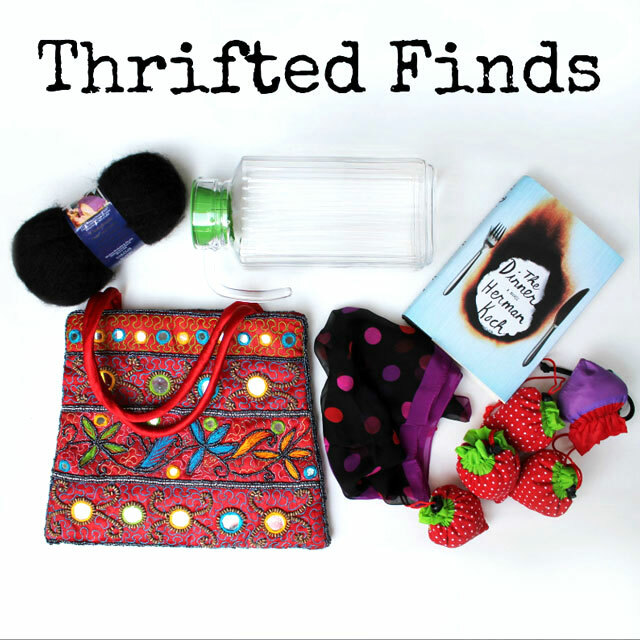 A quick trip to Value Village recently reaped these goodies. You might be surprised to find that the takings only included one item from my favourite section of the store, kitchen wares. There was another lovely item in that area, that I left behind because it had a chip in it, but I took a picture of it and have posted it at the bottom of the post. So let's start with the kitchen item. 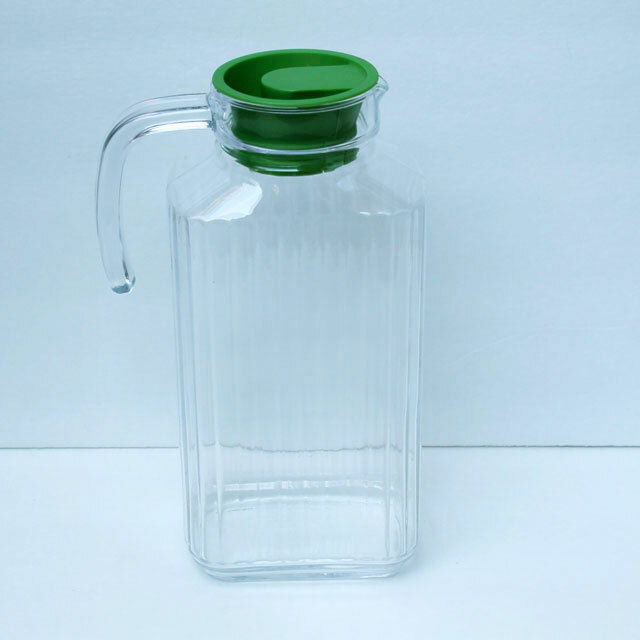 It's a tempered glass pitcher, made by Arcoroc. We lost one of our favourite Pyrex vintage ones (this one with orange slices pictured on it) this summer, after it broke while being washed. I heard it smash and dreaded the sound, having an awful feeling it was that pitcher. But hey, what can you do. Worst things can certainly happen. I thought this one was vintage (like its sister, also found at the thrift store, shown here) but apparently they still make this same style. However, the $3.99 I paid is a lot less than retail and it seemed to have never been used. It has already been put into regular rotation by Nick, who uses it to make my favourite winter drink, which he calls Sinners' Tea. I know I've mentioned this wonderful concoction before, and I promise, a recipe is coming up soon. 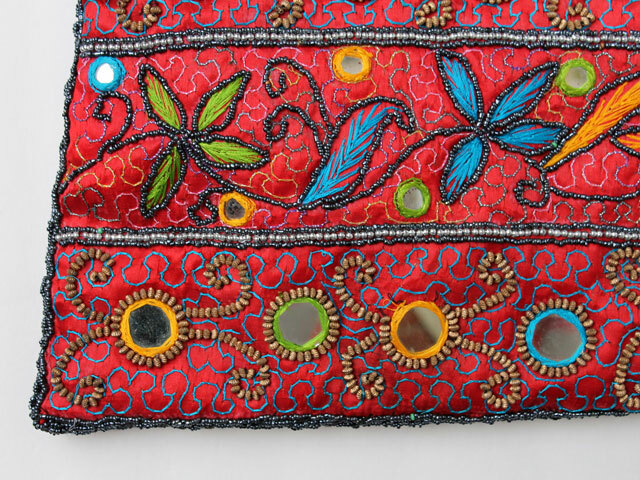 I spotted this next item, a silk embroidered and beaded tote style handbag, and may have run a few steps to get it off the rack. I've been looking for something like this for ages. 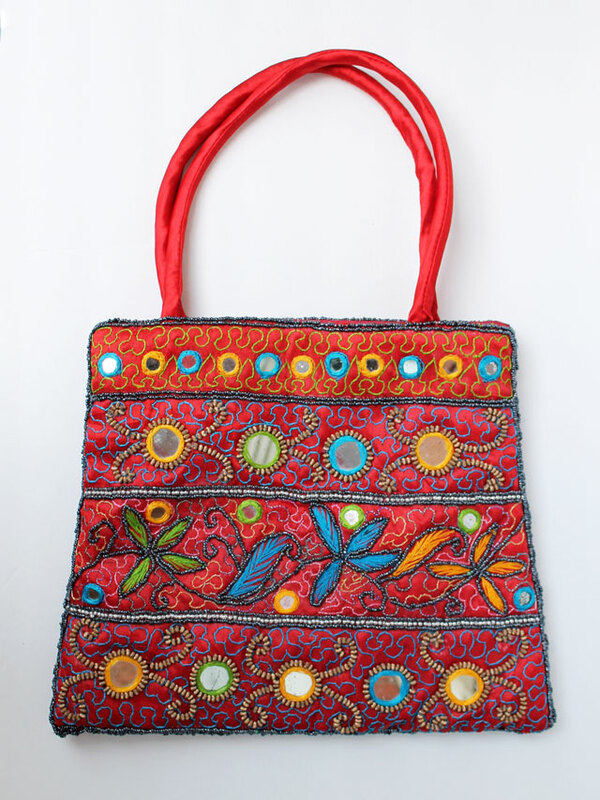 It is lined in cotton and closes with a nice smooth working zipper, and appears to never have been used. A score for $3.99! 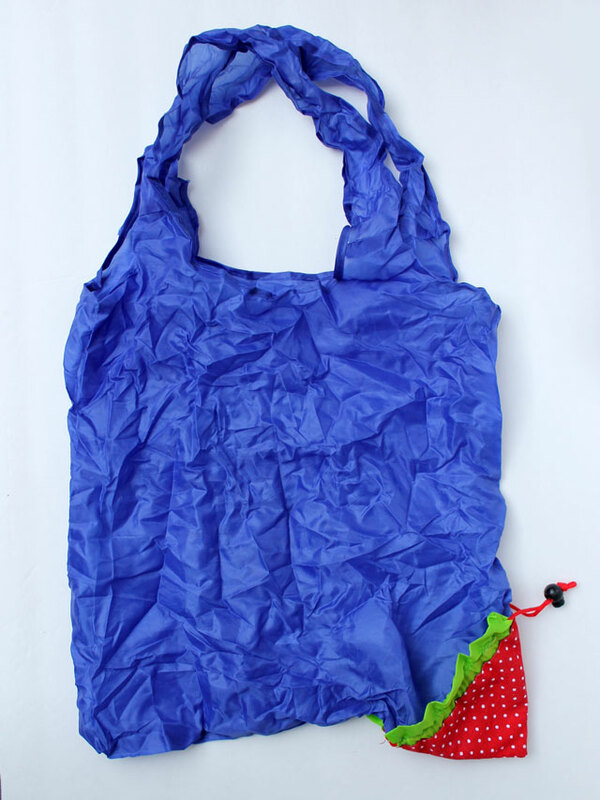 Nearby was a sealed plastic bag containing 5 adorable tote bags, that tuck into their own built-in strawberry case. I'll use these at the grocery store, where we pay 5 cents extra for each plastic bags (which, incidentally, I think is a good policy). I've seen these at a luggage and handbag shop and almost bought one for $5. I got all these for $1, so I'm glad I waited. These have never been used before. 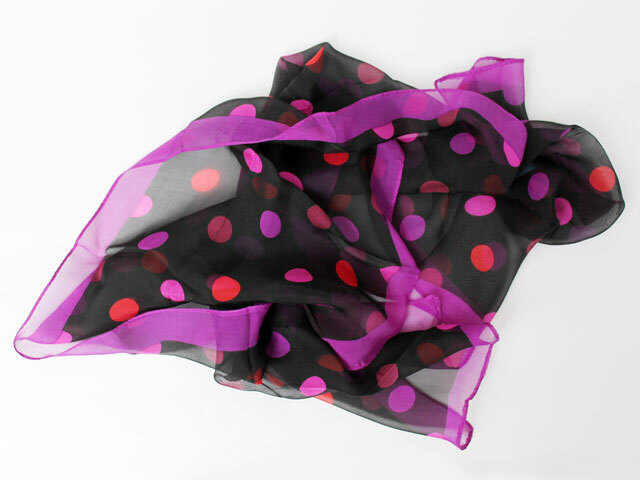 Next up is an oblong shaped, pure silk scarf ... You can't beat purple and red polka dots on a black background, can you? And, once again, this is another item that looks like it's never been used before. 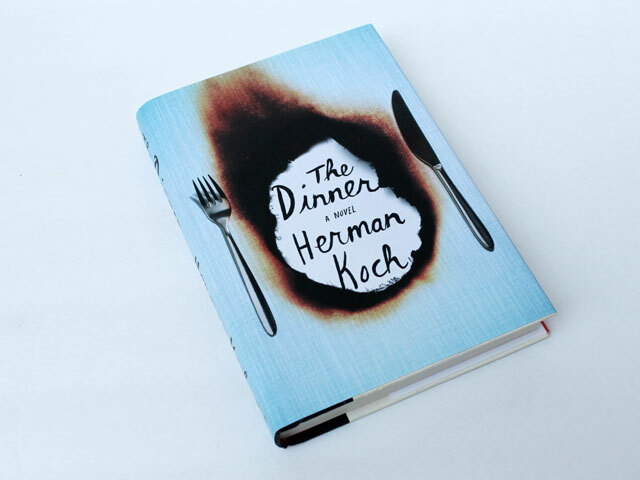 This book, The Dinner by Herman Kosh, was on my 'to read' list, so I was happy to find a nice clean hard-cover copy. Looking forward to diving into it. Finally, a full skein of Mohair blend yarn that came clean and sealed within a plastic bag. It is Lion Brand Imagine, and a generous 70 grams, which is a perfect amount to crochet a hat with and have some leftover for a little something else. 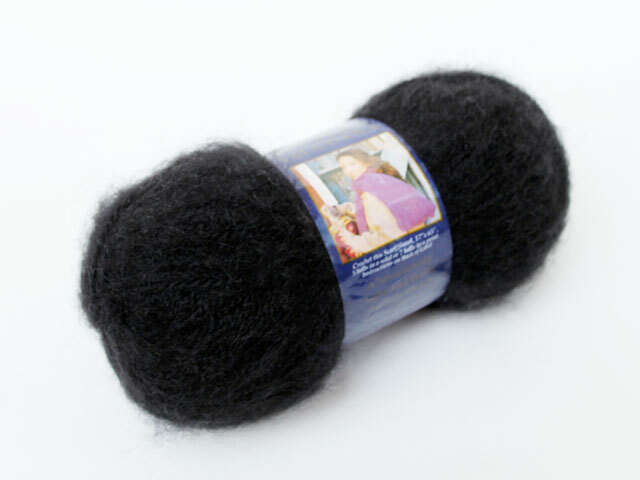 I paid $1 and a comparable skein would be $8 to $10 at retail. I've never bought or even looked at yarn at the thrift store before and credit my online friend Gaia for steering me in that direction! So that's all that I got! And now for the item that was left behind. This was already in my cart, when I noticed the chip on the rim. 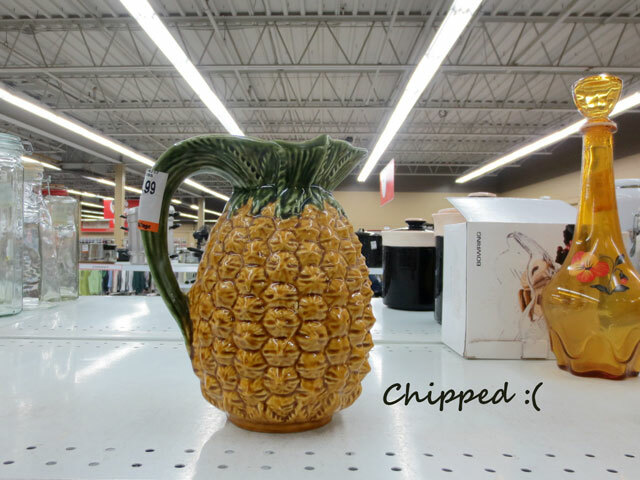 It was pretty big and noticeable and the item was priced at a relatively expensive $7.99, so I put it back on the shelf, but man would it have gone well with my 'ceramic pineapples and similar items' collection, seen in this post. Thank you for the mention, I am glad you found that section useful, I think V.V. has increased their prices on yarn as of recently. Amazing finds! If I may offer a tip on the yarn you just got- put it in a ziploc bag and put it in your freezer for a few days, take it out of the freezer but not the ziploc bag for about a week, and then put it back in the freezer for a few days. It’s a process, but this way if there are any moth eggs or anything in that yarn, this process easily kills them. But other than that, I totally think thrift store yarn is a great find- especially a totally unused skein! And I love those strawberry bags, so cool- the book section at that store is huge, I’ve donated some books there myself- definitely some good finds. A shame about that pineapple pitcher, though! Thanks Julie. I’m on my way to put the yarn in the freezer now! Wonderful finds, beautifully described and photographed! 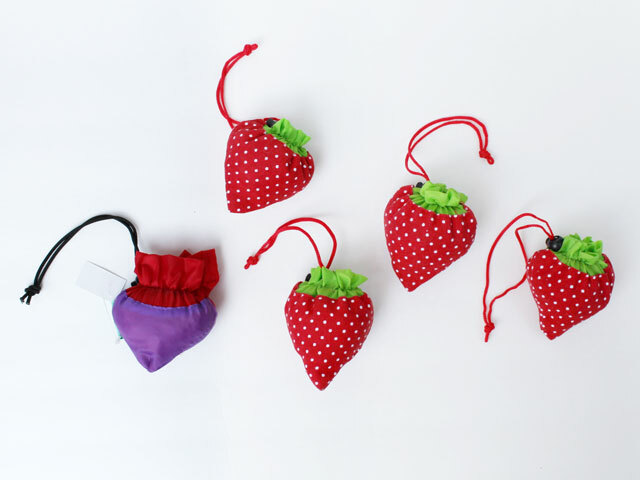 The strawberry totes are bleepin’ adorable! 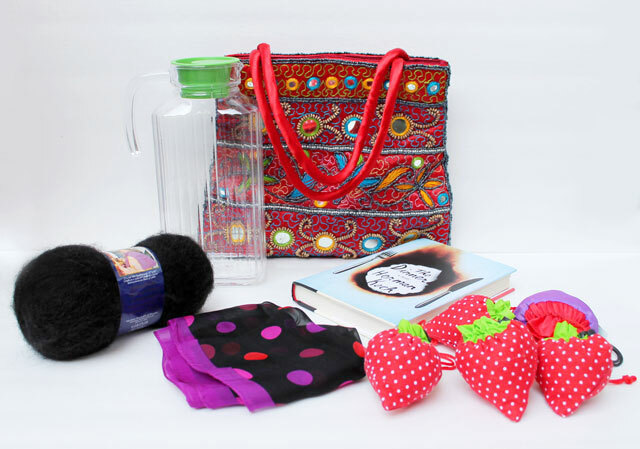 And that bag is wonderfully bohemian. aw, what a lovely pineapple :) you find such fun things!